People don’t respect leaders simply because there’s a title on the door. Titles are a beginning, but respect is earned. Disrespect contaminates environments and pollutes relationships. 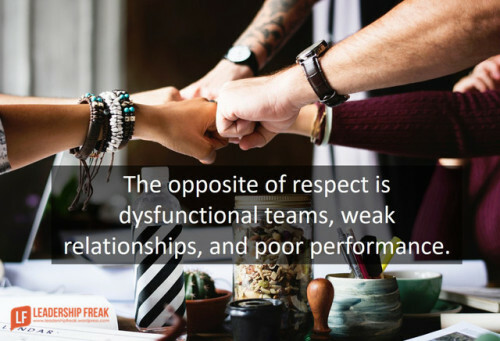 The opposite of respect is dysfunctional teams, weak relationships, and poor performance. Respect makes difficult work easier, turbulence less disruptive, and achievements more rewarding.